Tibetan singing bowls are ancient instruments which produce vibrations that are healing and peaceful. They are said to stimulate energy centers, reduce stress, and relieve pain. The sounds have a centering effect, producing deep relaxation while activating the body’s natural ability to heal. 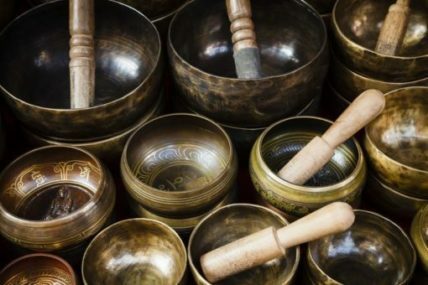 This workshop will cover the history of singing bowls along with time to experience the sounds, discussion, and sharing.